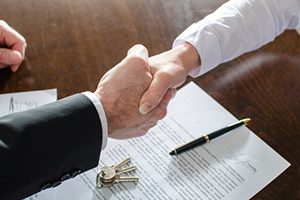 When you first buy a condominium from a developer, you receive numerous legal documents, including a copy of the proposed sales contract, the budget, and warranties. However, many people buy condominium units from owners rather than the developer or rather than a new unit from the builder. As a buyer of a condominium, you may be concerned about many issues, such as lawsuits pending against the Homeowners Association and whether reserves are sufficient to pay any emergency replacements or repairs. You may also be concerned about whether the existing unit owner—the seller— is leaving you with any problems that you will need to address. At Pulgini & Norton, our Boston real estate lawyers can advise you on resale certificates for condominiums and related issues. Condominiums have numerous advantages. Often, they are more affordable than buying a single-family home. However, you are buying not only your own unit but also common areas, which are owned in common by several unit owners. There may be rules and regulations with which you do not agree, and you should decide whether you still want to make an offer, knowing of these rules. The rules may relate to smoking, pets, and signs, among many other things. You should make sure that there is a capital reserve for unforeseen expenses. You should ensure that you will be getting a clean 6d certificate. It is the condominium unit seller who is responsible for getting a 6d certificate from the Condominium Association, although this may be negotiated. The seller is supposed to tell the Condominium Association that they are planning to sell, and then the Association will check to determine whether all fees, liens, and fines on the unit have been paid in full. As a buyer, you should not close without making sure that you have this certificate, showing that the seller is up to date on any fees and other obligations. Otherwise, you would be responsible for the super lien on the condominium, and it may not be possible to dispute it. The 6d certificate should be received prior to the closing with current dates and fees paid for the month by the seller and a per day credit given to you as the buyer. If you obtain financing through a bank, your lender will require you to get a clean 6d certificate. This is because it will not want to lend you money for a unit that is likely to be the subject of lawsuits or that already is the subject of a lawsuit. The lender will likely have other questions for the association as well. Rather than seek a loan for a unit that is burdened, it makes more sense to figure out ahead of time whether there is anything wrong with the unit that could give rise to a problem down the road. An experienced attorney can help you do that. Although a condominium unit tends to be cheaper than a single-family home, the work that you must do as a buyer before you extend an offer or sign the purchase and sale agreement may sometimes be more extensive. If you are concerned about a resale certificate for a condominium, the Boston real estate attorneys at Pulgini & Norton may be able to advise and represent you. Our condominium lawyers assist people in Andover, Hyde Park, and Quincy, among other Massachusetts communities. For a free consultation, contact us online or call us at 781-843-2200.